Following the dramatic defeat of Theresa May’s Brexit deal in the UK Parliament this week, all bets are off when it comes to whether the UK will crash out of the European Union on 29 March without a Brexit deal. A no deal scenario would have seismic ramifications for the legal residence, work rights, benefits and pensions, and health care for nearly 1 million UK nationals living on the continent. But 30 months after the Brexit referendum, and with the hourglass running out on the UK’s fated departure, EU-27 Member States are finally starting to offer some reassurances on citizens’ rights. 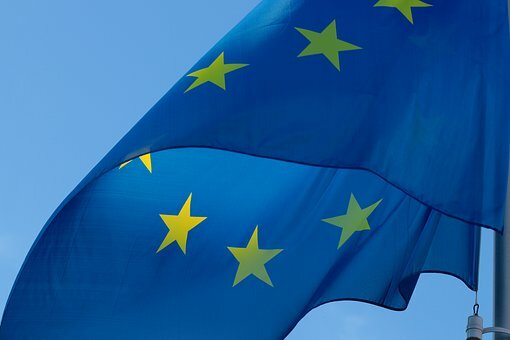 Contingency planning regarding citizens’ rights – the status of more than 3 million EU nationals in the UK, and UK nationals in the European Union – had been shelved, despite considerable consensus on this topic throughout the UK-EU negotiations. This was in part because citizens’ rights were seen as an important bargaining tool by both sides. And the European Commission, keen to avoid breaking the bloc, imposed a moratorium on bilateral discussions with the United Kingdom outside of official negotiations, a prohibition that filtered through to officials in Brussels literally taking pains to avoid each other on the street. Yet with the 29 March Brexit Day looming and No. 10 Downing Street and Westminster trapped in mazes of their own making, the European Commission recently has shifted to Plan B, urging Member States to take a ‘generous’ approach to protecting UK nationals in the case of a no-deal Brexit. Until recently, Member States released few details on what their plans would include. France was first to the table with a draft legislative proposal in October that, among other things, would enable Brits working in the French government to avoid a general prohibition on employment of third-country nationals for certain civil service jobs. In December, Italy announced it would allow all current registered or permanent residents to stay. In early January, the Dutch government published its plans for a 15-month transition period in the case of no deal, during which all municipally registered British citizens will be able to apply for a national residence permit on the same basis as other EU nationals. And the Spanish government has promised a contingency plan is forthcoming, and in the meantime agreed a partial deal with the UK government on voting rights. It is likely other Member States will follow suit over the coming months. But are these announcements all too little, too late? Time is extremely short to address the multiple complex issues thrown up by a no deal, from qualification recognition to health care and pensions. And given many of these issues will require bilateral agreement, there are significant questions about timing and stopgaps to avoid temporary chaos. How will negotiations move ahead on issues that require bilateral agreement? While much is possible through unilateral action, including granting residents the right to stay and access to labour markets, other areas, such as social security co-ordination, require bilateral agreement. For instance, retirees are concerned they will miss out on annual inflation-related increases to their pensions (known as uprating). Gaps in health care coverage could arise both for UK nationals resident in the EU-27 and for British visitors accustomed to the existing scheme of free or low cost reciprocal medical treatment. While the UK government introduced a bill that would establish a legal framework for reciprocal health care, it takes two to tango. Member States have been instructed by the European Commission to ‘refrain from entering into bilateral agreements, arrangements, and discussions with the United Kingdom’. The European Commission is trying to balance two competing priorities: Its desire to underscore the significant costs that come with no deal, and chaos minimisation for companies and citizens. But there is only so much that is possible to achieve unilaterally, and waiting for the deal to be unequivocally dead may mean waiting till Brexit Day – when many UK nationals will be left unprotected. Moreover, bilateral deals take time to negotiate, not to mention ratify and implement. Another option is for the European Commission to provide a stopgap of its own, essentially ringfencing the citizens’ rights aspect of the deal. While it is unlikely that the Commission would move ahead with this while the withdrawal agreement is still nominally in the UK government’s in-tray, it could start preparing on this front. What happens to people who fall through the cracks? The stopgap systems already announced by Italy and the Netherlands will be based on municipal registration systems, but many countries lack full registration for all resident UK nationals. In some countries, barriers to registration have pushed many mobile EU nationals into a state of limbo. In Sweden, for instance, the requirement to have a permanent employment contract makes it hard for EU nationals to register for a personnummer. In other places, registration has not been required, enforced, or encouraged. And countries with large numbers of seasonal residents, such as Spain and Cyprus, are thought to have chronic levels of under-registration – a problem that especially affects pensioners, as an MPI Europe report recently noted. Countries without compulsory registration may have to consider introducing new systems for UK nationals to register. But then the question arises as to what documentary evidence will be required. Any requirement to show backdated documents, such as evidence of years of work or residence, necessarily creates a trade off between inclusiveness and deterring fraud: you either choose to accept almost any documentation (making it possible that UK nationals could move to any EU country in the future and claim they entered before the cut off date) or impose certain requirements (running the risk that some will fall through the gaps). Deal or no deal, questions remain whether people will be required to show evidence of legal residence in order to be able to stay – this could include evidence of comprehensive health insurance for students and the inactive, although Italy has promised to drop this requirement following the UK promise to do so in relation to EU nationals. (Last summer, the UK government promised to secure the status of UK-resident EU nationals regardless of the outcome of negotiations through its new ‘settled status’ system, which is already being trialled – albeit with some teething problems, including a lack of support for applicants and reported issues with data privacy). Those forced to return to the UK could also be confronted with challenges. Returning UK citizens with medical and financial vulnerabilities could face delays accessing the National Health Service and benefits reserved for those ‘ordinarily resident’. And without so called ‘Surinder Singh rights’, UK nationals with non-British family members would again have to meet UK income requirements for family migration – upwards of £22,400 for a partner and one child. Mixed status families could be especially affected, according to a recent MPI Europe analysis. How can Member States ensure orderly processes? Especially in localities with large numbers of British residents, processing residence applications after Brexit could overload already burdened immigration offices. Dordogne, France was already struggling with the carte de séjour system, which in July was booked until October, causing Brits to incorrectly book up the appointments for non-Europeans. Germany has promised that British citizens will have a three month grace period after Brexit Day to possess a German residency title. The Berlin immigration office points out that it coped with the refugee crisis and can handle the increased workload. But it also asks for patience: An estimated 15,000 registered UK nationals in Berlin will need to book an appointment within that three-month window. While contingency planning for UK nationals after Brexit is a positive step given the sheer unpredictability of how the British Parliament will resolve the current chaos, there is too little time to address all issues. At most one can hope for a stopgap. Existing deficiencies in municipal registration systems and barriers to accessing health care are likely to be amplified hundredfold by a no deal Brexit – in ways that cannot even be anticipated yet. Those who are currently vulnerable are likely to remain vulnerable – or worse.